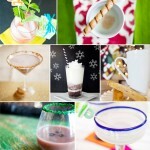 Ready for some more photos? 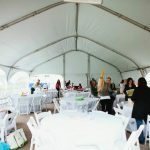 You’ve seen the set up day, and now I am so excited to share with you these gorgeous pics of the Operation Shower event tables! UPDATE: this giveaway is now closed. 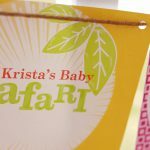 How about a little Safari party Giveaway? 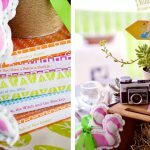 Blue elephants, Pink flamingos, Green zebras, Orange monkeys and this entire Safari Printable Party can be yours.